Be the belle at the ball with a twist in Alyce Paris 7001. 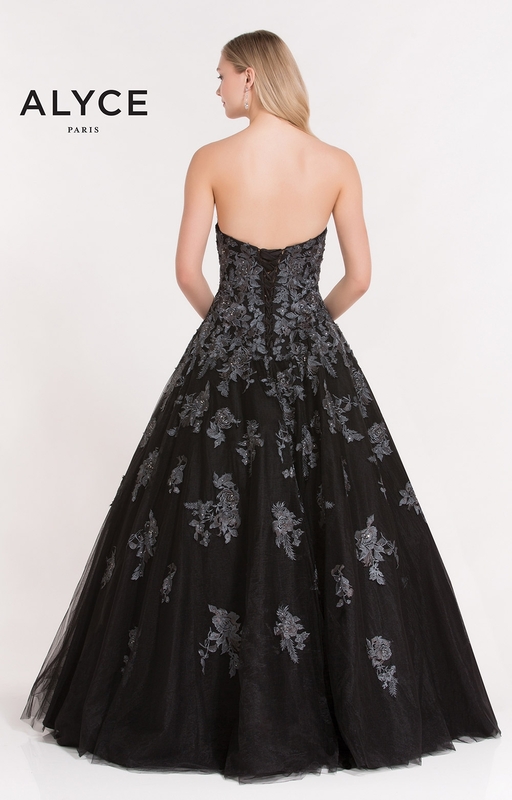 This gown is made of a floral embroidered tulle material and has a strapless sweetheart neckline. This style features an elegant corset tie back adding some extra elegance and to the the ballgown feel and tulle skirt tops it off. This dress is so perfect for a formal occasion and a night to always remember!